If you ask our cosmetic dentists what they love most about our practice, we’d have to say it’s the feeling we get from doing smile makeovers. The same goes for so many other dentists around the country and even the world. Seeing our patients beam with excitement when they first see their new and improved smile gives us a thrill unlike anything else. After all, how you feel about your smile easily affects how you feel about yourself, just as it can impact how others perceive you. When you’re embarrassed of how your teeth look, you can feel nervous about smiling or laughing openly. Instead of appearing friendly or outgoing, as you’d like to, you can be seen as withdrawn or shy. But, with a dramatically transformed smile, your life can change as new opportunities—ones you never dreamed of—become possible. Over time, your teeth can become discolored or stained for a wide variety of reasons, including certain food and drink items, genetics, medications, and old age. What’s worse is that whitening toothpastes and over-the-counter products designed to improve your smile often result in lackluster changes. At South Shore Dental Care, we offer both professional strength Zoom! Whitening right here in our office and personal kits that should be used in the comfort of your own home. Both options can improve your smile’s color by several shades. If you’re ready to give your smile an all-over makeover here at South Shore Dental Care, a customized porcelain veneer can work wonders. 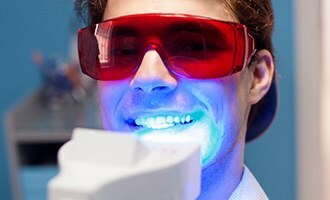 These high-quality restorations are similar to dental crowns, except for one major difference – they’re designed to cover just the front, visible surfaces of teeth instead of their entire shape. As a result, any cracks, chips, stains, gaps, misshapen dental structure, and more are well-hidden underneath a beautiful, natural-looking replacement. Many of our patients dream of correcting noticeable gaps and significantly misaligned teeth, but they just can’t commit to traditional braces because the aesthetic cost. Thankfully, Invisalign is an alternative option that prioritizes your natural appearance while still creating the smile improvements you have in mind. 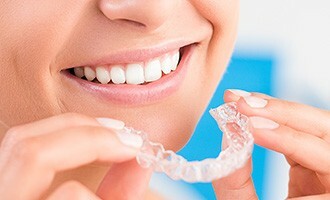 This treatment method uses clear, comfortable aligners to gradually shift teeth over time, and the aligners are subtle enough that most people you pass by in a day won’t even notice them. 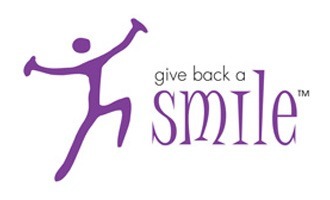 At South Shore Dental Care, we’re proud to regularly partner with Give Back a Smile (GBAS) in order to provide quality dental work and new leases on life for patients in need. This organization specifically works with victims of domestic and sexual violence from former partners or spouses, as well as family members. These brave men and women come from all walks of life, and they deserve to show off their smiles confidently with the help of cosmetic and restorative dentistry. If you want to learn more about South Shore Dental Care’s cosmetic dentistry services, click on the links above to read about each one. Every smile makeover, no matter how simple or complex, starts with a consultation. With a consultation, your doctor can assess your oral health and explain your options before putting together a personalized treatment plan that will meet your needs directly. To schedule one and start getting the smile of your dreams, please contact us today.